Whenever I got to local creative meetups in my city, I often times see the struggle they have with juggling client work and creating a brand. I get this struggle too. I’ve been in this game a while and I still find myself slipping in terms of keeping up with my brand. It got so bad recently that I had to hand off most of the work to contractors. On the one hand, this is great. It means people want to pay me to work. On the other hand, the reason people want to hire me in the first place is because of the brand I’ve created under my own name. In order for me to keep getting work, I need to keep creating a brand. 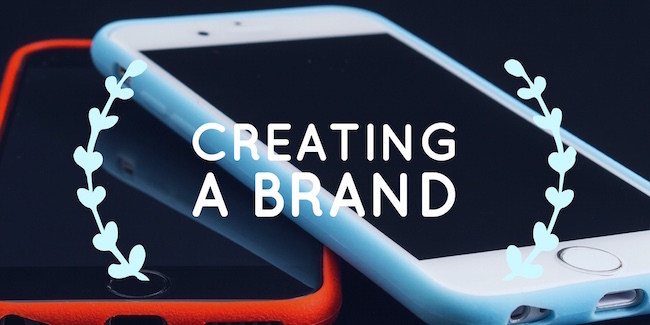 If you’re in the same boat, here are a few things you can do to make sure you prioritize creating a brand. Block a day out on the calendar for your own stuff. Before I started hiring contractors to help me manage my blog and social media, I was doing it all myself. In fact, I was creating a brand on my own for years. The way I was able to juggle the mounting demands of a growing business with creating a brand was to block out an entire day on the calendar to work on my stuff. At first, this looked like blocking out Fridays so I could work on blogs, my podcast, images, my own products, etc. Then, as client work kept growing, the weekends became my time to work on my own stuff. The point is I found the time to work on creating a brand. I knew it was important for getting more business so I made it happen any way that I could. Hire people to help you. As I mentioned, I recently had to hire contractors to help me with creating a brand. This looked like finding a podcast editor, a writer and someone to work on images for me. The person who makes my images is also managing my Pinterest account. Eventually, it gets to a point where the work is so much you have to hire people to help you. It’s called scaling and it’s actually a good problem to have. One of the things I’ve wanted to do in creating a brand is to start selling my own digital products like courses and a membership site. I’d managed to sneak in the creation of these digital products when I had the chance, but I had zero time to figure out how to market them. Once I realized this, I found a business retreat that could help me do it. Read: I put down a significant amount of money to travel to the Caribbean for a business mastermind in an effort to force myself to finally get this stuff done. Sometimes the only way we can manage creating a brand as business owners is to either put down some money or go somewhere new. That way you feel like you don’t have a choice and the change of scenery gets the creative juices flowing. Creating a brand is an essential part of running a successful business these days. That’s why you’ll want to take some of these tips into account so you make sure to actually do it.